A can’t-miss, a safe bet that you couldn’t possibly fail – or could you? Isn’t there always a danger of losing in a gamble, or at least not winning? What kind of odds would make you take a risky bet? As in the new book “Be Free or Die” by Cate Lineberry, would you put your family’s lives on the line? That, perhaps, is why McKee trusted Smalls enough to send him, alone at age twelve, to Charleston where he was “hired out…and largely left to fend for himself.” There, Smalls worked a series of odd jobs until he ultimately found work on cargo ships. He’d gotten married by then, and his wife’s owner promised that Smalls could buy Hannah and their daughter for $800; with that in mind, Smalls landed work on the Planter, a 147-foot-long paddlewheel steamer owned by a Southern businessman and docked in Charleston, near the Confederate general’s headquarters. Though he was able to save the $1 a month McKee gave him, Smalls knew that his wife’s price could change on a whim. Hannah was pregnant, and that worried him, too. There was only one choice. Oh, my, if you’re looking for a thriller for your summertime reading, you just found one. “Be Free or Die” is more exciting than any old novel. Beginning with the daring escape itself, author Cate Lineberry moves back-and-forward-again to tell Smalls’ story, which gives readers even more of a sense of why his actions were so astounding. No such saga is complete without more about the era itself, of course, which will delight Civil War buffs – and then Lineberry storytells even further, from the unique point of view of 1870s-era Charlestonians, Northerners, newly-released slaves, and Reconstructionists. This is one of the better almost-forgotten stories from history, and you can put it on your reading list now. Go ahead. 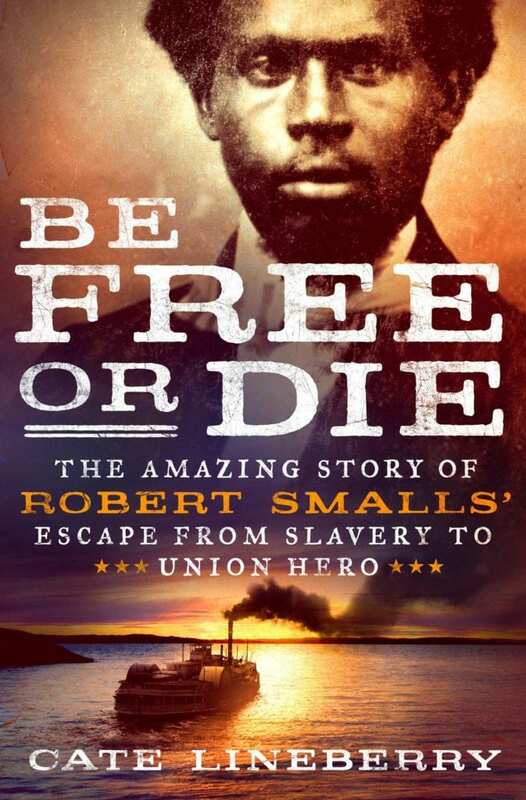 If you’re in search for that one book this summer, “Be Free or Die” is a sure thing.